I made a cheeky little Space NK purchase just before Christmas; the Philosykos eau de toilette from Diptyque. This makes it – by far – my most-repurchased luxury beauty item. I can’t think of any other product I race through so quickly and so religiously keep “in stock”. I thought that my love of Philosykos pre-dated this blog, but in actual fact I’ve just done some detective work (took all of fifteen seconds) and realised that I discovered the scent when I was invited to the Mayfair store around five years ago. I’ve worn it regularly ever since. Philosykos is a fig scent: there’s no escaping that. It’s not “hint of fig” or “lightened by the freshness of fig leaf” or “emboldened by the fruitiness of fig”: it’s pure and unadulterated fig. There’s fig around every olfactory corner – fig leaf and, er, fig in the top notes and echoed in the green middle notes and then fig tree (I’m assuming this means the bark?) in the base notes. Now obviously other notes have been added, but they are there to draw out the beauty of the fig, to enhance it, not to mess about with it and be all funky-cool. If you love a fresh, green perfume, but one that has a slightly masculine, woody edge, then this is for you. It’s clean but earthy, simple but somehow endlessly interesting: it’s high-end Parisian lifestyle shops and it’s chic women who waft about managing to look fabulous in just a grey jersey t-shirt and indigo jeans and white Converse with something cashmere thrown over their shoulders. I have no clue what I’m on about at this point (four-day-old baby lying across me as I type, brain is addled) but I need to make my feelings for Philosykos clear: it’s a life-long love affair. I’ll never outgrow this perfume, or tire of it – it’s going to be a life-long love affair. I’ve never come across an occasion that it didn’t suit, but more to the point, I’m comfortable with it as an everyday fragrance staple. It never irks me; there’s never a note that jars or makes me nauseous or slightly claustrophobic. It’s just a classic, plain and simple, and if you haven’t tried it then you should. I’ve just been on Space NK to look at the new (ish?) perfume version (must have it!) and seen that Space NK are doing their £15 off £60 offer again. The one they do where you get £15 off to discover something new? Hopefully still running by the time this post goes live – apologies if not. Use code EXPLORE17 at Space NK to get the discount. 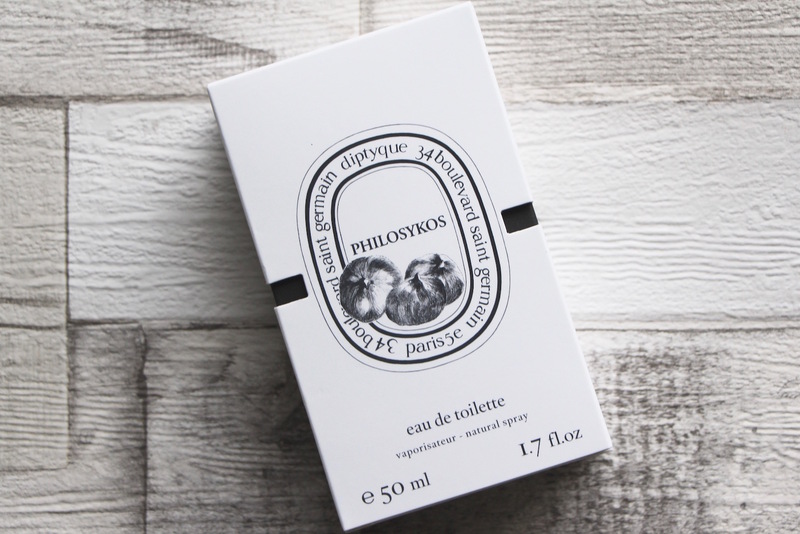 Diptyque Philosykos Eau de Toilette costs from £60 (or £45 with the code!) at Space NK here.